Gerber Organic Baby Food Pouches Just $0.50 at Publix! Check out this deal on organic baby food Publix! 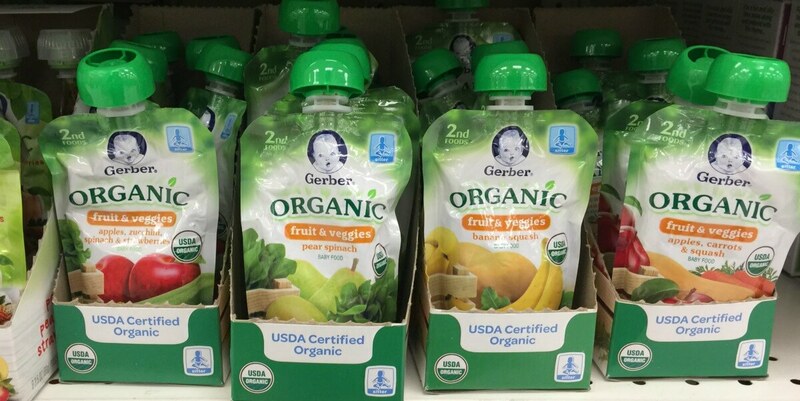 Through 5/17 Publix stores has Gerber 2nd Foods Organic Baby Food in assorted varieties, 3.5 oz pouches on sale for $1 each. Stack both of these offers to get the pouches of this organic baby food for only $0.50! Musselman’s Squeezables 4-Pack Only $0.79 at Acme!